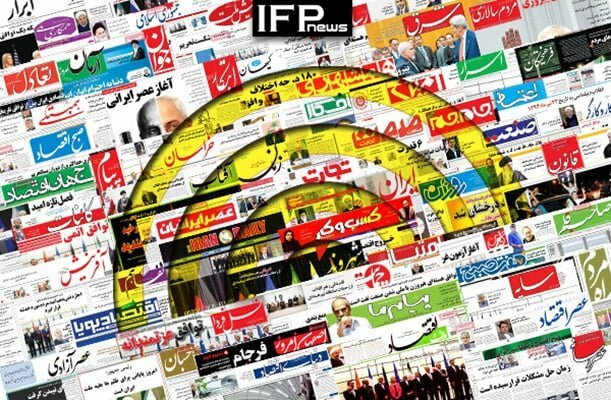 IFP has taken a look at the front pages of Iranian newspapers on Tuesday, November 13, 2018, and picked headlines from 17 of them. IFP has simply translated the headlines and does not vouch for their accuracy. Iranian papers today widely covered a report by The New York Times which revealed a plot by Saudi Arabia to assassinate IRGC Quds Force Commander Major General Qassem Soleimani and disrupt the Iranian economy. Also a top story was comments by Iranian Foreign Minister Mohammad Javad Zarif about the opponents of Iran’s adoption of the Financial Action Task Force (FATF), the global anti-money laundering body. In his controversial remarks, Zarif accused the critics of being engaged in money laundering. 2- Netanyahu: We Should Treat Gaza like ISIS! 3- Handmade American Shoes Sold at Huge Prices in Digikala.com! 1- Zarif Accuses FATF Critics of Money Laundering instead of Responding!